Long considered a luxury among older Americans and their family members, home health care is set to be viewed in a new way in 2019. Commonly referred to as private-duty home care, this sector of the overall healthcare market is growing by leaps and bounds, and 2019 promises continued growth. Of course, with that growth comes challenges for the sector, and the role of insurance for home health care providers cannot be overlooked. 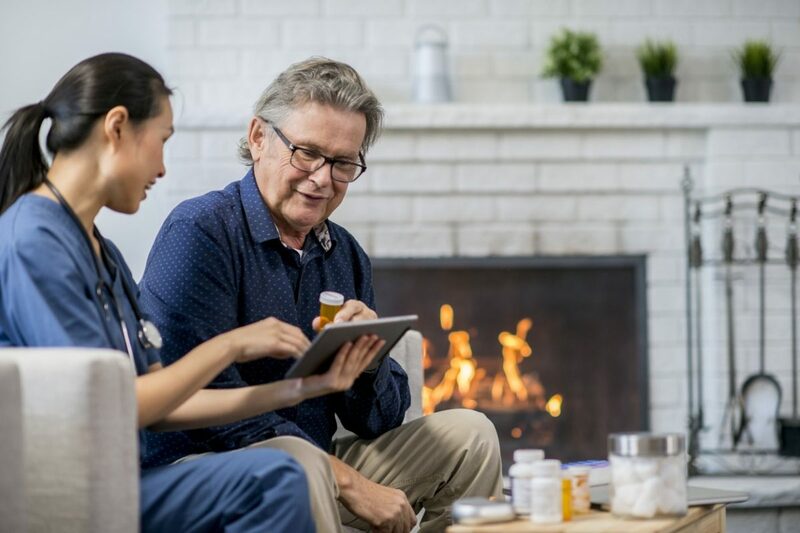 In this guide, we’ll take a look at some of the emerging trends that will influence the home health care industry in 2019. According to the U.S. Centers for Disease Control and Prevention (CDC), there were approximately 150,000 people employed in home health care services in the United States as of 2017, the most recent year figures were available. In 2016, this sector of the healthcare industry had a gross output of over $91 billion. Hundreds of home health care agencies provide nearly five million patients with compassionate at-home care, which has become a necessity as Americans trend away from live-in treatment facilities. As of 2014, about 80% of all home health agencies operated on a for-profit basis. Some of the largest such agencies have been actively engaging in mergers and acquisitions (M&A) initiatives, consolidating market share and profitability. The numbers paint a rosy picture for the home health care industry as a whole. Despite these high numbers in both personnel and in revenue, however, the home health sector is facing a labor crunch. Agencies are facing challenges in both hiring and retaining qualified caregivers. Home health providers have transitioned to other roles within the healthcare industry, attracted by higher salaries and more stability in workplaces. The M&A activities of some of the larger agencies has also served to create retention challenges among caregivers; when smaller firms are acquired by large corporate agencies, their staff are often discharged in favor of existing corporate personnel. Government regulations continually shift, and in the home health care sector, these changes have a dramatic influence on the way agencies do business. Much of the recent shift in the sector is due to passage of the Affordable Care Act, which has put focus on values-based medical care payment structures, a critical component of the home health sector. The 2019 Medicare home health final rule will also influence the industry, introducing a revised payment system and add-ons for care delivered in low population density areas such as rural communities. Finally, technology is making its presence known in the sector. Advanced technologies that integrate care plans into larger healthcare systems will be introduced in 2019, effectively creating opportunities for collaboration between home health providers and facilities like skilled nursing units, hospitals, and senior living care centers. Technology has also allowed patients to shop online for the best providers. Because the American population is aging, technology entrepreneurs may be able to leverage new tools in providing enhanced care for elderly patients, easing stress on an overburdened national healthcare industry. In any healthcare setting, specialty insurance programs and services offer protection for facilities, caregivers, and patients alike. In the home health sector, insurance for home health care providers is a critical risk management component. Broad insurance coverage is available for these providers, including both general and professional liability, defense of license, and business personal property coverages. Many insurance policies also offer coverage for violations of the Healthcare Insurance Portability and Accountability Act (HIPAA), which is ever more important now that healthcare records are commonly stored and shared in a digital format. Again, technology in 2019 carries with it specific risks, such as protection of patient records against cyber criminals. With these protections afforded by insurance for home health care providers, caregivers and their agencies can continue to provide accurate, compassionate, and needed care to the elderly patients that depend on their services. ← Are Your Nursing Home Clients Aware of the Readmissions Penalty?